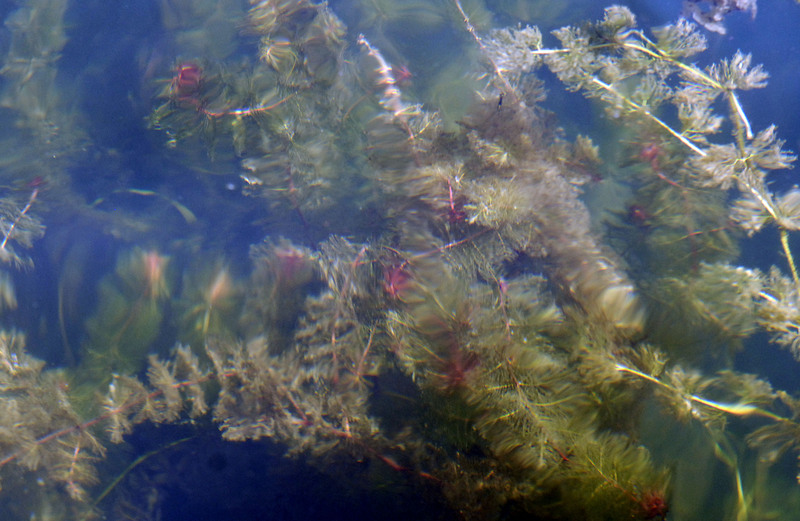 Ask boaters, dock owners, swimmers or scientists and you’re likely to get the same answer: Eurasian milfoil is a good-for-nothing pest. Since the mid-1970s, the feathery water plant has spread in the Inland Northwest’s rivers and lakes, and hundreds of thousands of dollars are spent battling it each year. Now a couple from Elk, Wash., have come up with a new idea: What if milfoil could be turned into biofuel? Currently, milfoil is pulled from lakes and streams using various equipment and simple manpower, or killed off by applying herbicides. The plant is so nutrient-rich it burns other vegetation when piled on the shoreline. Another consideration was the debate over using corn as a fuel source. “One wants to go green, but one doesn’t want to deplete a food source,” Mitchell said. Mitchell and her husband, Cesar “Sandy” Clavell, who both have backgrounds in environmental sciences, applied for a grant through the Washington state Department of Ecology. The couple received about $8,000 for initial research. They plan to investigate two methods of extracting oil from the water plants for use in biofuels: distilling and using solvents. What’s left of the plant after each process will be composted and tested. Students at Selkirk High School will be doing most of the research. “Sandy is just a neat guy that he would think of including us in the first place,” said John Kinney, science and math teacher at Selkirk High School. The school has a certified water quality research lab, which came about because the rural school runs its own wastewater treatment plant and water system. “We do water testing for many of the small towns around here,” Kinney said, adding that his environmental science class, and possibly some of the chemistry students, will be working on Mitchell and Clavell’s research project. Ron Curren, public works director for Pend Oreille County, said it would be ideal if milfoil could be used for something. Curren is waiting for a $200,000 milfoil harvester to arrive within the next few weeks. A lot of time and effort are spent managing milfoil in Pend Oreille County, Curren said, especially around the 20 public boat launches where the milfoil has to be hauled away. “We try to look for vacant areas to put it in, but sometimes it goes right onto the beach,” he said. Mitchell and Clavell searched the country for other milfoil biofuel research projects but couldn’t find any. University of Toronto researchers published an article in the magazine Biomass and Bioenergy this summer, saying that the invasive vine kudzu could produce almost as much ethanol per acre as corn – 270 gallons. Mitchell said they hope to begin the research in October, and the initial tests should be finished by December. The composting part will take a full growing cycle to complete. Contact Pia Hallenberg Christensen at (509) 459-5427 or piah@spokesman.com.